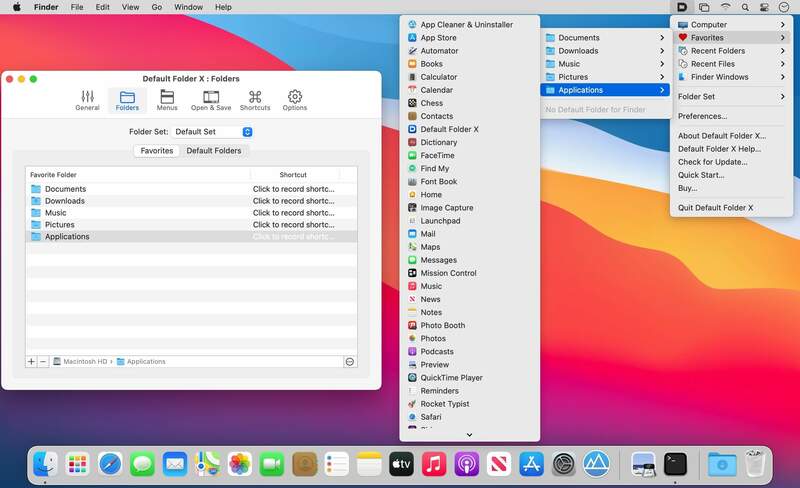 Default Folder X 4.6.9 – Enhances Open and Save dialogs. Fixed a problem that could result in Default Folder X's bezel appearing when it shouldn't when you simultaneously rename and move a file using the rename box in a document window's title bar. Changed Default Folder X's behavior to let Photoshop set a starting folder inside your Library folder. Fixed Cmd-D, Cmd-Shift-C, Cmd-Option-S and Cmd-Option-I so they work on Dvorak keyboards. Command keys for switching between folder sets were not working. This has been fixed. Next story iMazing 1.0.6 – Complete iOS device manager (was DiskAid). Previous story Tinderbox 6.1 – Store and organize your notes, ideas, and plans. PopClip 1.4.6 – Cut, copy, and paste at your fingertips. Default Folder X 5.0.5 – Enhances Open and Save dialogs. Dr. Cleaner Pro 1.1.0 – Ultimate System Tuning Tool.